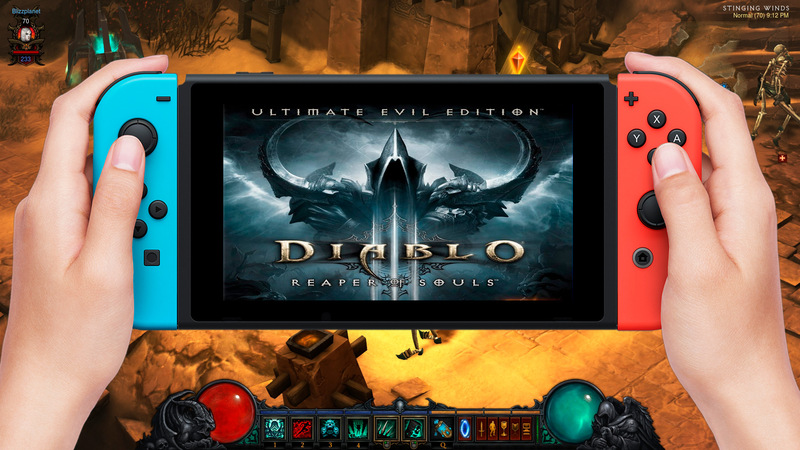 How to Detect if Diablo III Nintendo Switch is Real? After consideration, I decided to trim most of the article as there are a couple of details shared by Reddit users that better inform game development on the Nintendo Switch. Originally, I posted three Blizzard job openings that require knowledge of UNITY. Diablo III is an old game built in C++ and UNITY is not required to develop Diablo III for the Nintendo Switch. This job opening appeared 6 days ago. We’re a close-knit group of developers looking for a dedicated tools engineer to explore new territory with us! We want someone who loves creating tools and supporting fellow team members on their epic journeys. We’re striving to stay small, so while each of us has a lot of responsibility, we all support each other beyond our specific job roles. A Reddit user responded to my post with a very compelling reason for Blizzard Entertainment not to port Diablo III to UNITY. Seems like a good point to counter the wide-spread rumor that has been circulating the web for the past couple of weeks. zZentail: It could be, but if this is true, Blizzard would be making a MASSIVE mistake. Not for making D3 on switch, but for using Unity for it. You know why? D3 wasn’t made in Unity. You know what that means? A lot of building the game from the ground up. Blizzard has been starting to make everything in Unity (albeit probably a heavily modified version). It’s not surprise that a future D3 game will be in Unity. It’s mostly expected at this point. Also, I’m going to point out that D3 was made in C++ (job postings from before the game came out). Entirely in C++. Porting that to Unity, which is C#, would be a son of a fruit loop. The appeal for the game on Switch, if they did it that way, would not pay out at all. They would lose a massive amount of money for time spent on the project vs income that would come back. While it’s easy to code something in C# when you have the C++ code, there is very little you can actually just copy-paste. 99% needs literal rewriting. Correction: UNITY is not “necessary” to develop Diablo III for the Nintendo Switch, according to Reddit user NukezEx. So this makes Diablo III on Nintendo Switch more feasible. NukezEx: I am working in game development. My company considered bringing one of our games to Switch so I had some time looking through internas. It is simply wrong that you require Unity to develop for Switch. I don’t say that D3 on Switch will or will not happen, just that Unity is no requirement for it. Medievaldragon: Can Diablo III on C++ work seemlessly in Nintendo Switch (without Unity)? NukezEx: Yes. C++ on Nintendo Switch is a thing. Much more realistic than switching to Unity. BlinkHawk: This, to make a runnable game on the nintendo switch all you need is a compiler, and a binding lib to switch’s OS service calls. For now, Blizzard’s official statement to POLYGON puts a halt to the rumors, but doesn’t directly confirm or deny development. Other musings: Something people might not be aware of is that the Nintendo Switch is based on the retired NVIDIA SHIELD Tablet. In 2016, early reports revealed the Nintendo Switch contained a customized NVIDIA Tegra CPU/GPU which Supports 1080p via HDMI in TV mode. As of December 2017, 14.86 million Nintendo Switch units have been sold. On June 2017, Nintendo announced the Nintendo Online Service program — which connects to the Nintendo Switch. This service will provide co-op and voice chat. The service will become available on September 2018 in U.S., Canada, and Mexico. You’ll be able to play compatible co-op and competitive games online by signing in with your Nintendo Account. Online play is free for Nintendo Account holders until our paid online service launches in September 2018. Where can Blizzard Entertainment possibly reveal something like Diablo III Nintendo Switch? Considering Nintendo Switch is a mobile platform, we know that Blizzard announced Hearthstone and The Diablo III Ultimate Evil Edition (PS4) at PAX East 2014. Blizzard also announced the Diablo III: Rise of the Necromancer at the PAX East 2017 press event. I was there. PAX East 2018 starts on April 5. I will be there. Blizzard Entertainment has also made announcements at E3. We interviewed them at E3 2015 for the Heroes of the Storm: Eternal Conflict announcement. E3 is now a public event, again, since last year. E3 2018 starts on June 12. We will be there. Finally, Blizzard has also made Diablo III announcements at GamesCom. We interviewed Josh Mosqueira at GamesCom 2013 for the Diablo III: Ultimate Edition announcement. BlizzCon is another platform Blizzard might use to announce the Diablo III Nintendo Switch — if that was something Blizzard might be working on.